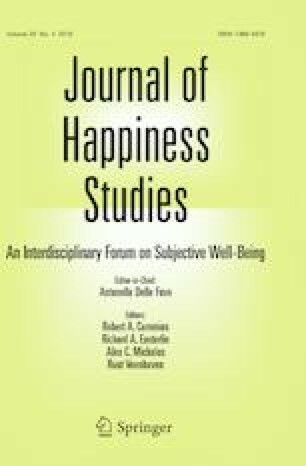 Subjective well-being (SWB) comprises both a cognitive component or life satisfaction, and an affective component or predominance of positive over negative affect. Engaging in meaningful goals and using effective coping are two factors with great impact on the development of SWB. Self-Determination Theory (SDT) postulates that goal can be pursued through autonomous and controlled motives (AM and CM respectively). AM are based on personal interest, enjoyment, or perceived importance while CM are driven by internal or external pressures and contingencies related to social approval. Moreover, from SDT has been proposed that only the attainment of autonomously motivated goals raises well-being. The main objective of the current study was to analyse whether coping strategies mediated the relationship between goal motives and SWB. Two hundred and five people (120 male and 85 female) answered questionnaires to assess different variables of interest in group sessions. Path analysis showed that CM had direct and indirect effects on negative affect, and that the latter are through the use of avoidance coping strategies. CM had direct effect on life satisfaction, and AM had direct effect on positive and negative affect. We discussed that both well-being and mental health promotion programs should encourage people to pursue goals by autonomous motives, and help them to replace avoidant strategies by those aimed at problem solving. Likewise, we point out the convenience of assessing goal progress, analysing specific coping strategies developed for each goal, and studying separately the affective and cognitive components of SWB. World Health Organization. (1948). Constitution of the World Health Organization. http://www.searo.who.int/LinkFiles/ABOUT_SEARO_const.pdf. Accessed 2 Jan 2013.